One color that I find myself really loving at the moment is mauve. It is like that mauve is a softer color like a light purple. Mauve is a very feminine color to me and it is a color that works with an outfit for any occasion. I love how the fabric is folded and gathered in this mauve dress. This dress doesn't have alot of decorations added but because of the way the fabric moves it doesn't look simple and easy. Mauve and gold are a great color combination. This top is so cute with the ribbony, silky detailing at the top. The jacket adds a little edginess to this look. This would be something that I would wear out with friends. This is an ultra casual look that I would wear out to run errands or on a busy day shopping with friends. I LOVE this top and those flats. I think this dress is so cute. I added a little Christmasiness to this look with the jingle bell ring. These are some of my favorite mauve items that I found on polyvore. My absolute favorites would be the floral print dress, which would be great for spring, and the ear muffs! They are absolutely adorable. 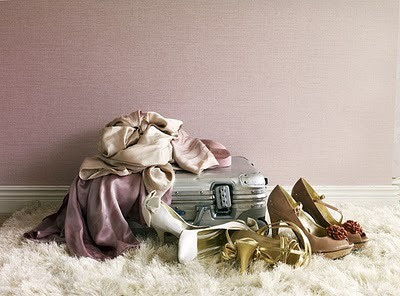 Mauve is a wonderful color that can be incorporated into a number of looks. What's your opinion on the color? i love purple. they can go very femine, like muave, or very dark and mysterious. a perfect color in my opinion. I love these color. I wore a A&F cardigan last week in this color. I'm loving the mauve paired with gold! So pretty. i feel like mauve got kind of a bad (i.e. boring) reputation in the 80s. but you're right...in it's updated form, it's totally chic. really liking the outfits you put together! Mauve is gorgeous and so stylish. There are so many things you can do with the color and incorporating it in looks. Great post, loving all the items! My fav' is the first one! And I would love to have that recipe you spoke about in that comment on my blog..
You know my E-Mail adress? Oooh, I love mauve! :) Especially adore your third look! i love mauve but not on me , just cause i am so pale and light skin that it washes me out! You are really good honey. I love mauve too and totally think it always looks so classic and chanel like. I love this color too. I wish I could find a good mauve nail polish.